I love it when I meet someone who really makes the living in France dream work. Nick and his wife Lisa epitomise the home in the sun and moving abroad dream. After a holiday in the south of France they saw a sign as they were leaving that said “Why Not make Provence your home” – this served and inspiration for them to do just that. 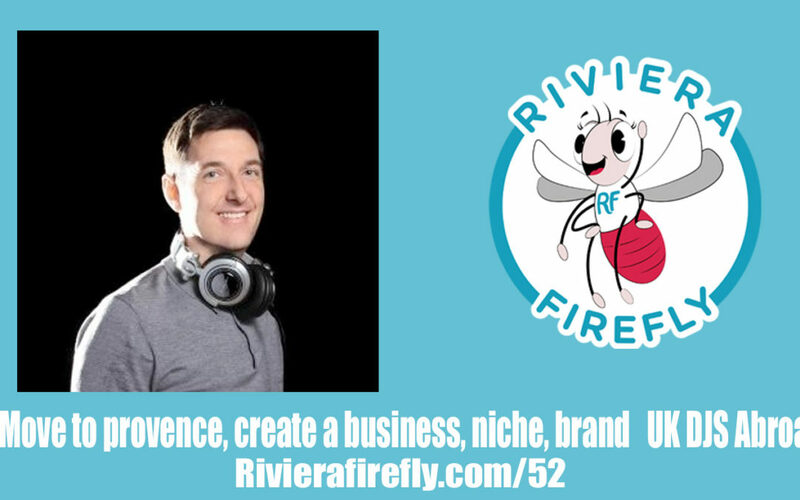 Learn how after setting up home initially in the Var Nick created a niche business and overcame all the paperwork challenges thrown at him . Nick is a savvy businessmen and shares why they came to France and how Nick came to DJing. He talks about how he grew and scaled his business and the importance of niching down and protecting your brand..
Chateau de Robernier in Provence in the Var a fairytale castle. We cover how to make living in France work, how to meet new people and learn French.